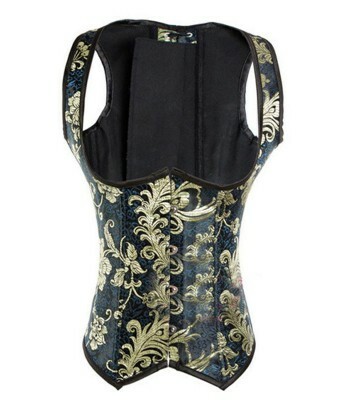 Made with bicolor brocade fabric. 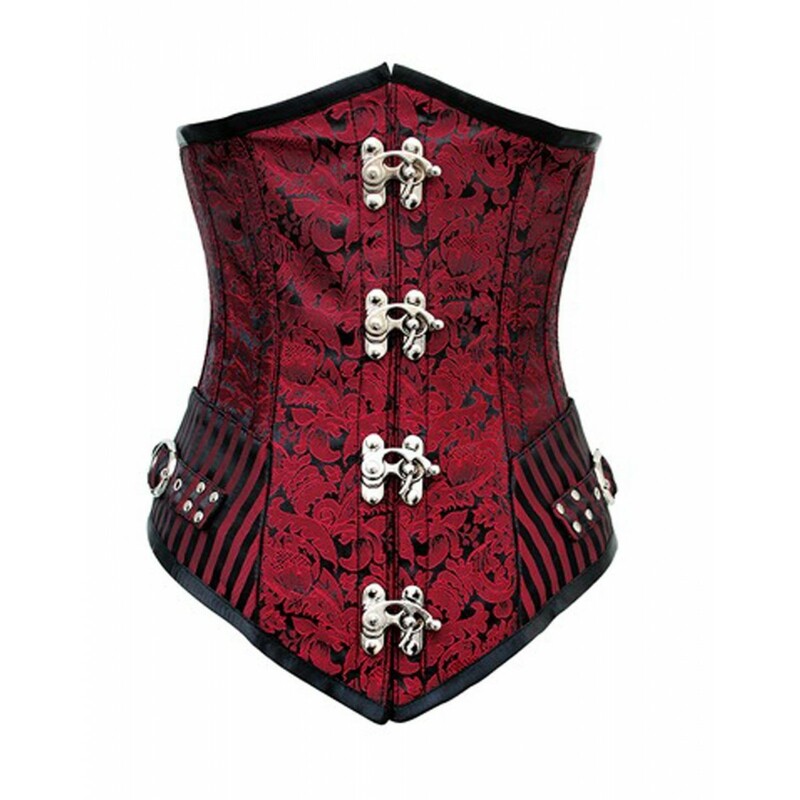 This corset has the new clasps that will make it easier to place. It is knotted from behind.